Composite instruments are violins, violas or cellos with one or more parts that have been replaced from the original instrument. Players seeking an affordable 18th or 19th-Century instrument will find that ones with modifications are more affordable. The work of a master instrument maker increases in value with age. A great sounding composite instrument can also be a worthwhile investment. A composite instrument is not to be confused with “composite” fiber, a lightweight indestructible plastic used in modern instrument making. Why do instruments receive composite repairs? The original instruments are the designs of a famous instrument builder, and often from many years ago, thus making the instrument quite valuable. The histories of these instruments can be long and complicated. It is not uncommon that the notable violin, viola or cello may have suffered irreparable damage and needed a new back, top or belly. It is also possible that the maker left some works unfinished, later to be completed by a less noteworthy maker. 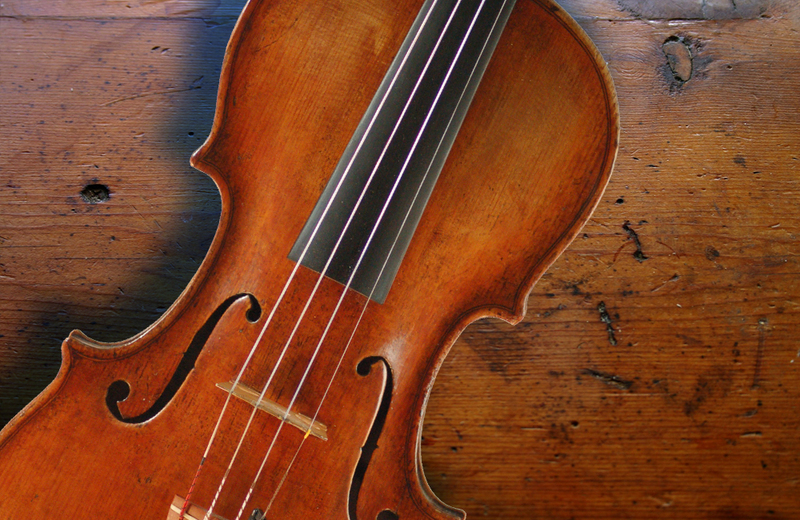 It is also not uncommon for a violin to be taken apart for financial gain. 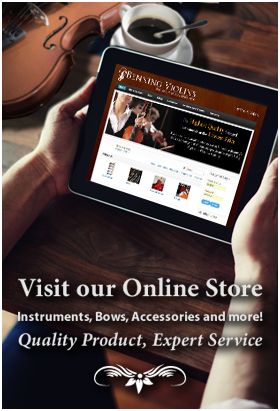 A violin seller may claim Stradivarius certification for an instrument that is only a small percentage of the original instrument. A fine Stradivarius might be split into two or more, sometimes many composites through the years, to raise the value of other violins. Some violins, violas and cellos reach Frankenstein levels, having been taken apart from so many originals to increase its worth. Replaced parts may be from the same maker, the same style but a different maker, or from an altogether different style and time-period, each of these having a different impact on the instrument’s value. The most common alteration, a replaced scroll, could bring down the value of the instrument 10-20% but will only affect its look and not its sound. Second most common, replacing a spruce top was once more viable than restoring it, but its replacement largely devalues the instrument. If replaced within its first fifty years, the instrument only loses 30-40% value. As a player, the main concern should be the instrument’s sound. However, it is important to consider whether the instrument will have a lasting value. If in doubt, it might be wisest to consult an independent appraiser or else seek several opinions at a fine instrument auction.